This was a pretty big goal. Arsenal cut the gap between themselves and league leaders Leicester City to two points with 12 games to play thanks to last weekend's bonkers 2-1 win which featured a little bit of everything: "clever" dives, a red card, and most importantly, a match-winning goal from a player making his first appearance in 10 months. How's that for a fairy tale? Arsenal are now favorites to win the league according to the bookies, but their odds are longer than both Leicester's and Tottenham's statistically, a consequence of still having to play games at Old Trafford, White Hart Lane, and the Etihad, not to mention tricky parks like Goodison and Upton. They'll get two of those fixtures out of the way in short order, with the trip to Manchester United coming on February 28 and the trip to our nearest and dearest coming March 5.
past years, but he's been rested for both so far this year. When Laurent Koscielny was removed at halftime from last weekend's match, my first thought was "oh no, Calum Chambers at center back," which turned out to be a misguided fear, especially after the red card. 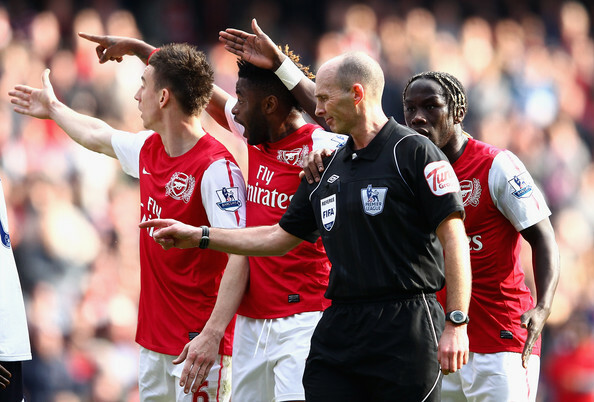 My second thought was that the removal was likely because Koscielny was on a booking. That was also wrong, because word is he picked up a dead leg in the challenge that led to that booking, which failed to break up the play that led to Leicester penalty. All of that aside, Koscielny is "doing well," according to Arsene Wenger's Thursday morning presser and he "looks positive." With some rotation to be expected, I would think Koscielny starts on the bench, at best. Meanwhile, Gabriel is out with a hamstring injury and he was even sent back to Brazil for rest and recovery. Hamstring injuries are usually at least three weeks; Wenger has said he is "running outside," though he didn't specify where (London? Brazil? Mars?) Kieran Gibbs is 50-50 with an ankle sprain, which would force Nacho Monreal to retain his place, rather than get a rest before Barcelona's visit on Tuesday. The same goes for Hector Bellerin, since Chambers will have to start centrally. At that point, I believe we are actually out of defenders. Elsewhere, rotation is le mot du jour; Mohamed Elneny could get a start, though Wenger only stated that "we'll certainly see him against Hull." Wenger is going to have to balance playing a squad that can beat Hull against keeping the legs fresh, since the World's Fanciest Team will play at the Emirates three nights after this one. I would bet Mesut Ozil gets the day off while Wenger will keep the likes of Olivier Giroud, Alexis, and Aaron Ramsey on the bench, just in case we need a goal. Predicted XI: Ospina, Bellerin, Chambers, Mertesacker, Monreal, Flamini, Elneny, Campbell, Walcott, Oxlade-Chamberlain, Welbeck. he plays on loan for Flamingo Land. Midfielder Nick Powell, signed on loan from Manchester United on January deadline day, is expected to make his first appearance for Hull City at some point in this match, though it is questionable as to whether he will start. 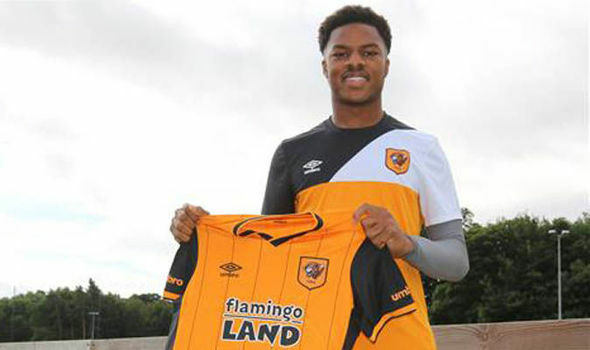 Steve Bruce mentioned that Powell arrived with a bit of an injury, which has kept him out of action thus far. Hull will need the depth for this match, as Chuba Akpom and Isaac Hayden are both ineligible. Norwegian striker Adama Diomande is Hull's only injury concern, according to Who Scored, but I've scoured news Web sites unsuccessfully to find out what his injury might be. Steve Bruce is expected to rotate a lot for this fixture (which means I'm not going to try to guess at their line-up;) Hull play league fixtures against Ipswich Town on Tuesday and Sheffield Wednesday on Friday (there are too many days of the week in this sentence.) Hull are likely to prioritize their bid for promotion over advancing in the cup. 0-0 draw with Seagull Land. After going winless in four league games, Arsenal have now won two straight, but there's no telling how important Danny Welbeck's 95th minute winner against table-topping Leicester last weekend will help this club's psyche; it's the kind of goal that transcends trends. That said, this is another match against a table-topping club, though that table is the Championship. As a cup tie against lower-league competition combined, this is the kind of game where form goes out the window. Hull City played midweek, drawing 0-0 against Brighton and Hove Albion on Tuesday. With 60 points, the Tigers are first in the Championship, though Middlesbrough are just two points back with a game in hand. Through late November and December, Hull went through a rough patch, winning just three of eight. Starting New Year's Day, Hull have won seven of their last nine across all competitions to climb back to first. Aside from that draw with Brighton, they also lost to Burnley, 1-0, on February 6. They've advanced to this round of the FA Cup by defeating Brighton and Bury. comfortable in last year's third round. This will be the third consecutive season in which Arsenal and Hull will meet in the FA Cup. Of course, Arsenal beat Hull in the 2014 final, 3-2 in extra time, storming back from Hull's 2-0 eight-minute lead. Last year, the clubs met at the Emirates in the third round; Arsenal won 2-0, with goals from Per Mertesacker and Alexis Sanchez. In addition to last year's final, Arsenal beat Hull in the 2009 sixth round and the 1930 semi-final, which required a replay. Hull's only win over Arsenal in the competition also required a replay. That came in the first round in 1908. 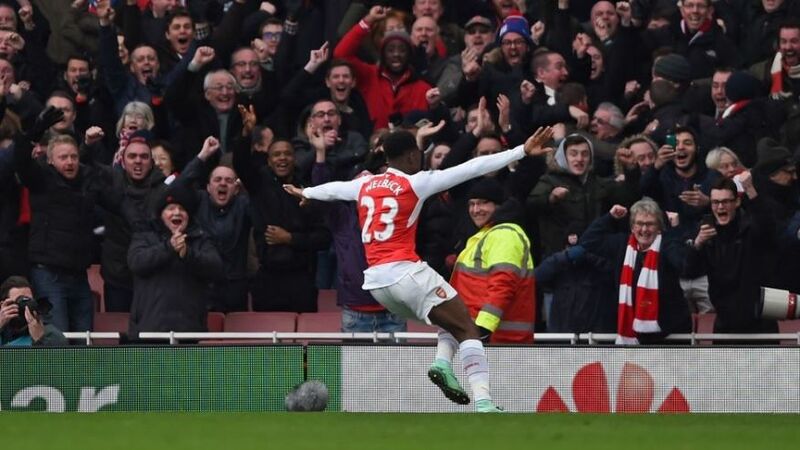 Hull did take a point from the Emirates in the league last season; Arsenal needed an injury time equalizer from Danny Welbeck to earn a 2-2 draw. Arsenal had won seven straight against Hull across all competitions before that draw. 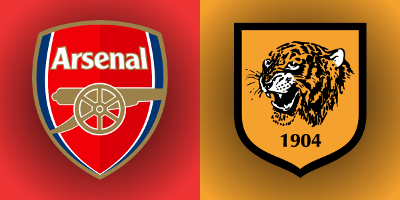 The Gunners beat the Tigers 3-1 at the KC Stadium in May. 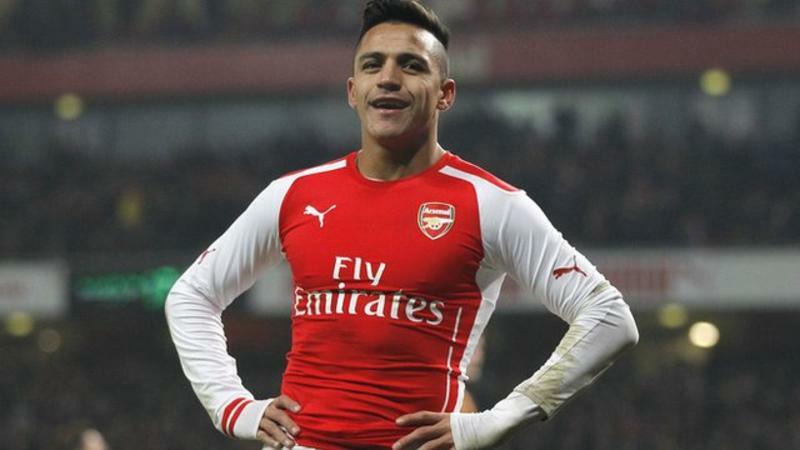 Arsenal stormed back to win 5-2. The referee is Wirral-based Mike Dean. I have to be honest with you, I really didn't expect Dean to be assigned to another Arsenal match this season after what happened at Stamford Bridge in September. But, the state of officiating in England right now is such that there are only so many experienced referees available (just look at how Martin Atkinson, who got several big decisions wrong last weekend, is going to the Euros this summer). Considering the FA was going to have to ease Dean back into working Arsenal matches, a home cup tie against a Championship side is probably their last chance to do it this season. Incidentally, Arsenal's record with Mike Dean as referee had considerably improved over the last few years, before Diego Costa got involved. Going into that match against Chelsea, Arsenal had lost only one of their last nine with Dean in the middle. I noted in my preview of that match that, in terms of match officials, "It's Martin Atkinson you should currently fear." Funny, that. Dean has not taken charge of a Hull City match so far this season; last year, Dean was in the middle for two matches at the KC Stadium: a 2-0 win over Crystal Palace and a 1-1 draw with Sunderland. John Painting is a contributing writer to the Modern Gooner and a land plant phylum. You can follow him on Twitter @zorrocat for chlorophyll jokes.